If you are planning a trip to Paris you need to decide what you want to see and do, and today’s Paris week post will help you find something a bit different from the standard attractions. 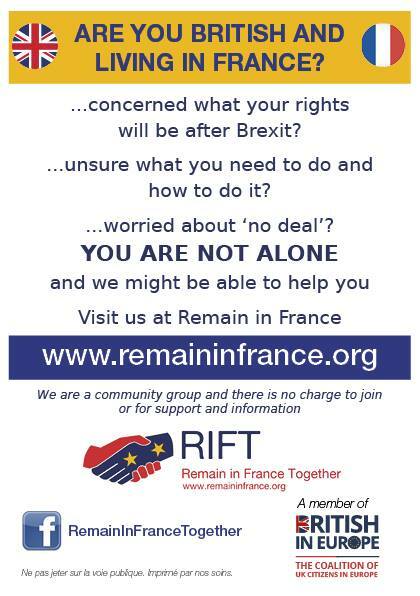 Markets are a French way of life and despite the supermarkets many French people from all generations regularly buy their fresh produce from their local market. Parisians are no exception and whether it is a tiny weekly street market or a bigger daily market held in an ornate market hall, Paris has lots to choose from. A trip to a market will give you a real taste of real French life. 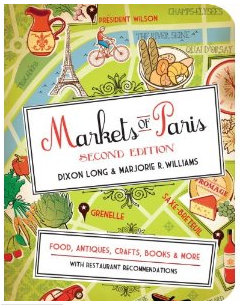 Here is my review of Markets of Paris: Second Edition a guidebook by Dixon Long and Marjorie R. Williams. I fell in love with this book the moment I took it out of the squishy envelope it arrived in (many thanks to the publishers, The Little Bookroom, New York). It is smooth to the touch, with rounded corners, beautifully illustrated, smells divine and is a perfect, handy backpack size. What can be more ‘French’ than a trip to Paris with lazy days spent browsing and tasting in the fresh food markets or finding a bargain in a flea market? Not much, and this book is the perfect companion to take with you. It is thoughtfully split into ‘arrondissements’ (districts), and then details all the markets: food, antiques, crafts, books and more with opening times and the closest Metro stop. 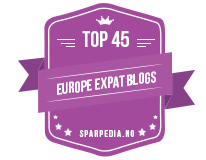 It would be impossible to see and experience all the markets, but this guide is so comprehensive that no matter how short your stay, or which area you are staying in, you will be able to find at least one market to visit. The pictures by Marjorie R Williams, of the produce, the producers, the galleries and the very Parisian street scenes are miniature works of art that transport you direct to Paris. As if this isn’t enough, there is also an eating out section that explains the difference between the bistro, the café and the brasserie and gives some personal recommendations of places to try. This book, available on Amazon, would be the perfect gift for anyone planning a trip to Paris. Next time I am lucky enough to be in Paris, this book will be with me, in fact it makes me want to hop on the train NOW and spend some time wandering the markets of Paris, taking photos, eating out and people watching. I may be gone some time, so I will leave Paris week in the capable hands of author Susie Kelly who will be guest blogging here tomorrow.